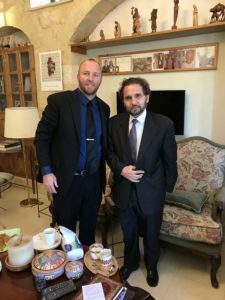 On Monday, March 18th, His Royal Highness Prince Mired Raad Zeid Al- Hussein, came to our office in Salt for a meeting. Jason, 3dp4me Founder & CEO, felt really honored to meet Prince Mired for the first time. He has been a long-time friend of Brother Andrew’s. Prince Mired is first class, an excellent listener, highly intelligent, and engaging. His Royal Highness is the President of the Higher Council for the Rights of Persons with Disabilities (HCD) in Jordan. HCD’s vision is to see “a society in which people with disabilities have a decent and sustainable life that will grant them effective participation based on equity and equality”. 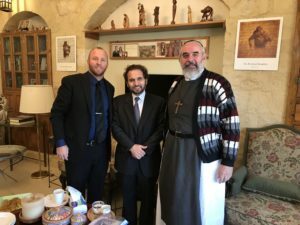 Brother Andrew and Jason had a chance to share their vision for their project in Jordan.